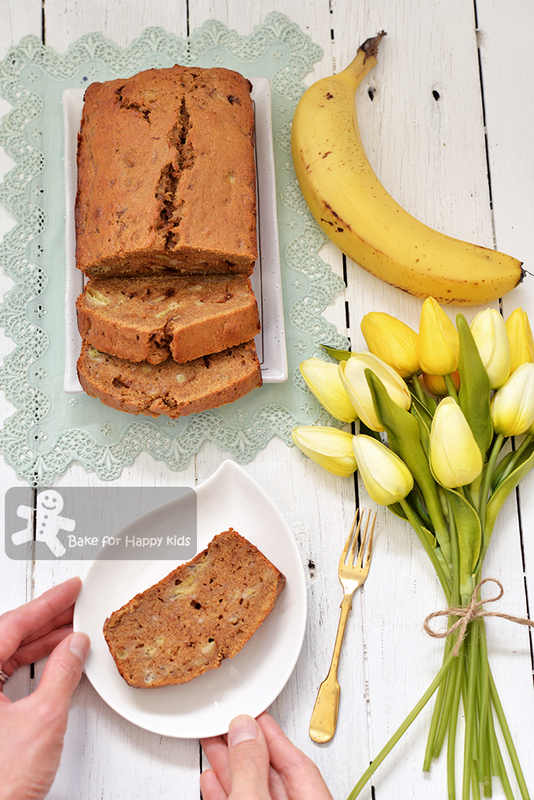 To me, there is no right or wrong when it comes to banana bread recipes. It's whether I like it or I don't. I love banana breads and cakes. And I have baked many many many different banana bread and cakes recipes at here, here, here, here, here, here, here, here, here, here, here, here, here, here and here. Some at here is low fat. Some at here is extra extra extra buttery. Some at here is a little naughty. Some at here and here are extra fluffy. Some at here and here are extra nice and nutty. Some at here and here are cafe-style being moist and buttery. Some at here and here are a little extra healthy. Some at here and here are super awesome with chocolate. Some at here and here are easy and fuss free to bake. Some at here is simply extra extra extra moist and yummy! Honestly speaking, I can't tell you which is my most favourite banana bread or cake recipe. All of these recipes that I have shared are genuinely good and they are uniquely good in their own way. However, if I want to bake a banana bread that is just a banana bread... I mean a really moist and delicious basic banana bread that is fundamentally good with nothing extra, I know another really good recipe to bake and this is my BEST classic banana bread recipe! Basically, this is THE banana bread that has all that we want in a typical banana bread. Well... like butter, lots of BANANAS, brown sugar, vanilla and cinnamon. That's all! And of course, it has to be buttery and moist but not greasy and naturally sweet but not too sweet. Why classic? Classic because I have done my homework! LOL! After comparing several highly rated banana bread recipes (eg here, here and here plus many recipes that I have baked), I have noticed a standard way of baking banana breads and formulated this perfect classic recipe. Wanna try this recipe? 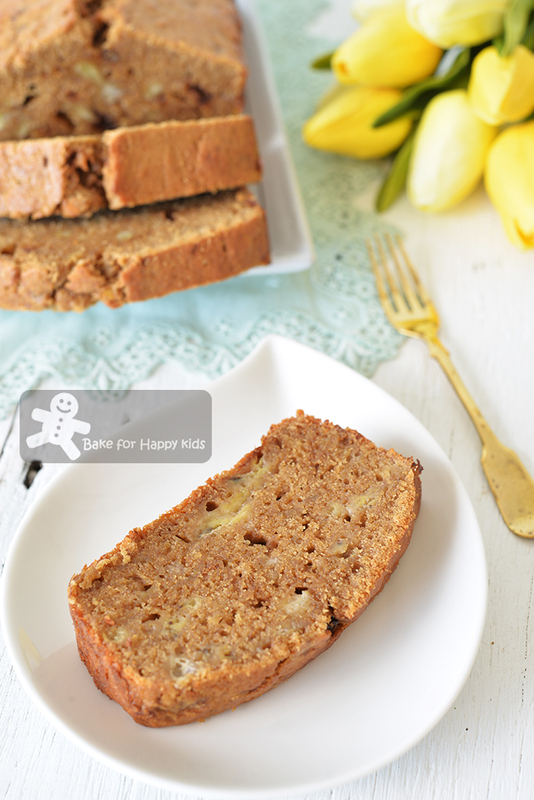 Watch my video and you will see that it is very easy to bake this very yummy buttery and moist banana bread. 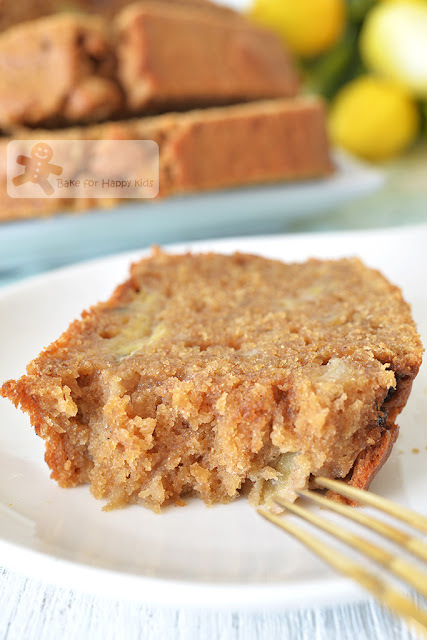 And this is why I'm sharing this really good classic banana bread recipe! This classic banana bread is buttery and moist but not greasy. It is delicious and naturally sweet but not too sweet. To me, it is perfect! Here's my best classic banana bread recipe. HIGHLY RECOMMENDED!!! Preheat the oven to 180°C / 350°F. Line baking pan with baking paper. Using a wooden spoon or an electric mixer with paddle attachment, beat butter, sugar and vanilla until combined, making sure that there is no large clumps of brown sugar. And it's ok if there is very small clumps of brown sugar in the mixture. Add egg gradually into the butter mixture and beat well after each addition. Then, use the same wooden spoon or a spatula to mix the mashed bananas into the butter mixture. Not to worry if the mixture looks curdled at this stage. Sift flour, baking powder, salt and ground cinnamon into the butter mixture and use the same wooden spoon or a spatula to mix until just combined. Do not over-mix. Transfer batter into the prepared pan. Bake for 50 mins or until a skewer inserted comes out clean. Allow the bread to cool slightly in the pan for about 5 mins. Remove and transfer the bread onto a wire rack to let it cool completely. Enjoy! Hi dear, can i replace the butter with oil instead? Thanks! Hi, This recipe is designed to bake with butter. You can click the links (in this blog post) to my other banana breads and cakes as some are baked with oil (with no butter). Cheers!